The patented, special laser glass brings out every motif perfectly. A good design requires a suitable environment in order to present itself to best advantage. 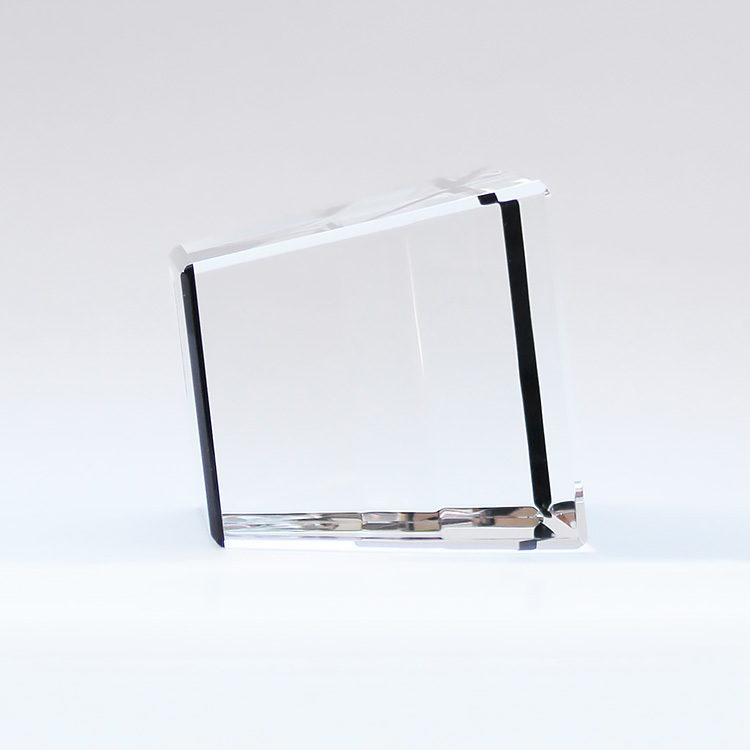 In our case, this is the patented BBCrystal laser glass. 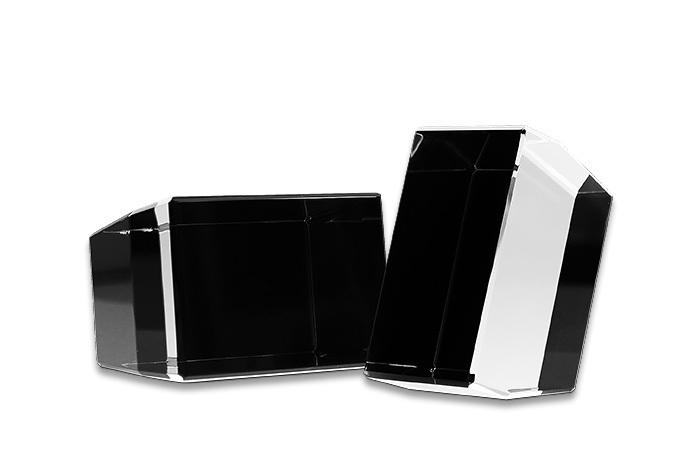 This special laser crystal has a conical shape with a thin 2mm black glass backing. Thanks to the natural contrast of the black glass backing, the lasered motif is immediately visible in what is actually a transparent solid. The conical shape is highly elegant and designed to optimise the effect of incident light (from the top and sides) on the lasered motif, creating “indirect” lighting. Another effect of this shape is that the viewing side is tilted back slightly, especially in the portrait format, establishing an ideal view angle. Every lasered 3D motive is perfectly presented in premium BBCrystal. 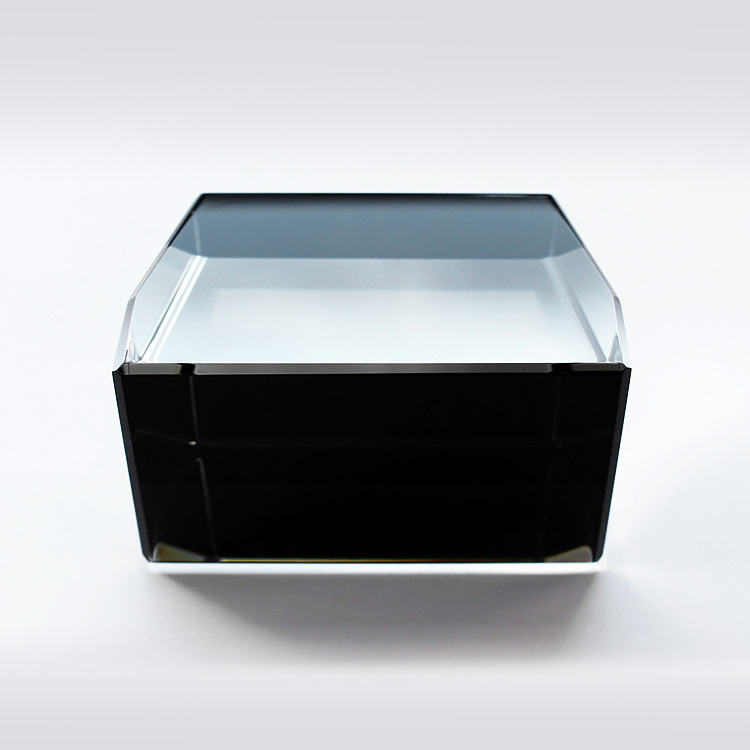 The laser glass is patented and available exclusively from us. From this sight angle, the conical shape creates the impression of glass that is almost entirely black. The contact surface (top and bottom) tapering towards the back is clearly discernible here, causing the viewing side (front) to meet the sight angle of the viewer. Here one can see the black 2mm glass backing (left) reflected in the glass at the front. The glass body itself is transparent. One can also readily see the conical shape. The front (viewing side) is tilted slightly back as a result, making the lasered motif easier to view. 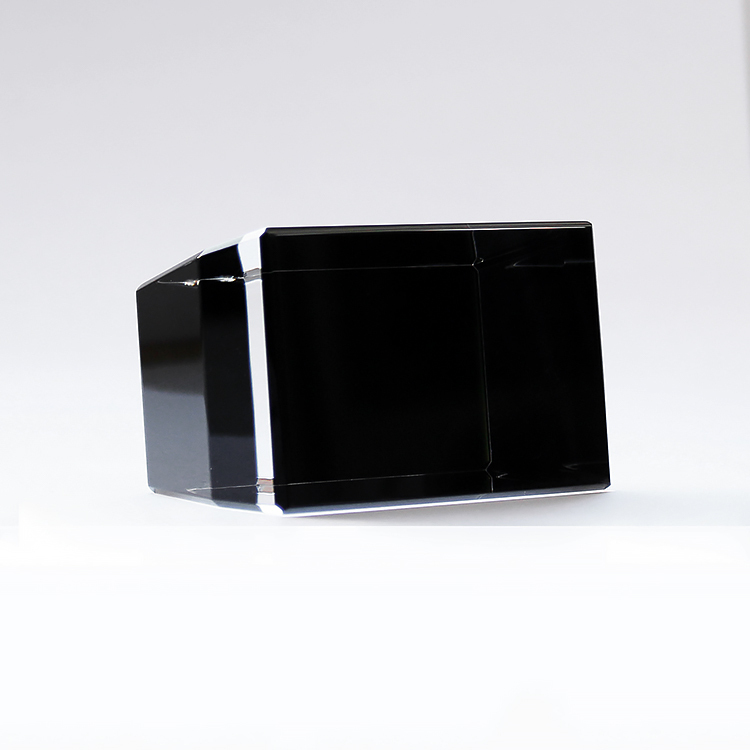 The black glass backing reflected in the front and presenting the lasered motive to best advantage is readily discernible from this sight angle. One can also see the lateral contours well, with their conical shape starting at about 15mm and guiding the incidence of light. 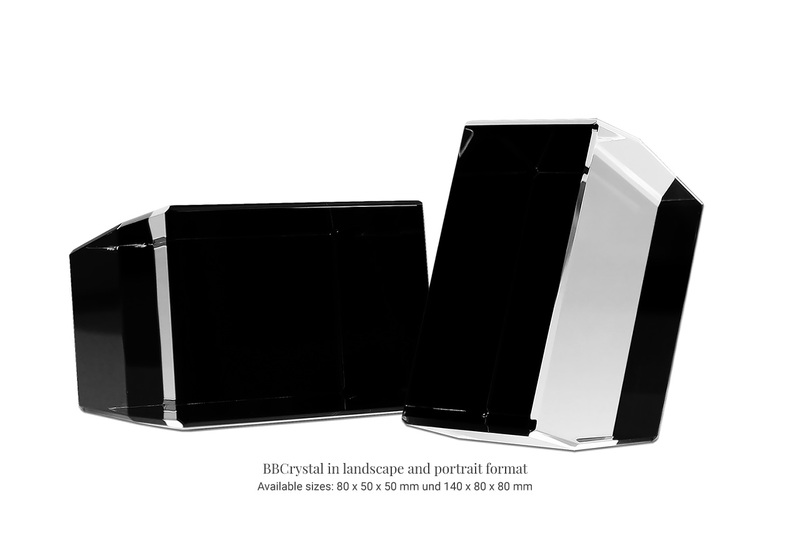 The premium BBCrystal is patented and exclusively available from phenolux.